Does Pence Make Phillies Favorites Again In NL? After watching the San Francisco Giants acquire All-Star outfielder Carlos Beltran and then take two of three games at Citizens Bank Park from the Phillies, Philadelphia general manager Reuben Amaro, Jr. knew he needed to upgrade a team that had lost its title as favorites to win the National League. 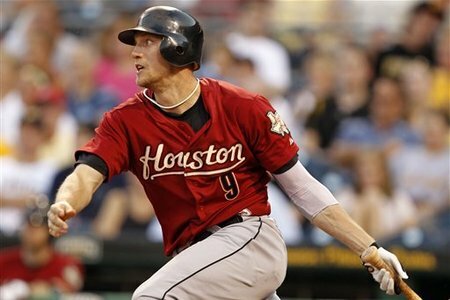 All of a sudden, talks intensified between the Phillies and Houston Astros and outfielder Hunter Pence was sent north to don the Phillies’ pinstripes in exchange for four prospects. The price is a lot to pay and will cost Philadelphia in the future, but Amaro, Jr. knows his team is built to win now. Not that Pence cannot help the Phillies in the future; The 28-year old outfielder is a two-time All-Star and is under team-control through the 2013 season. While he is not the kind of hitter Beltran is, Pence has hit 25 home runs in each of the last three seasons and is a career .290/.339/.479 batter. As he has entered the prime of his career this year, Pence is enjoying a career season, batting .308/.356/.471, career-highs in each category, with 11 homers and 62 runs batted in. The key to this trade is that Pence provides a quality right-handed bat in the Phillies lineup. Philadelphia’s right-handed hitters with at least 100 at-bats this season are batting a combined .252 with a .313 on-base percentage. With the exception of switch-hitters Jimmy Rollins and Shane Victorino, Philadelphia’s best bats come from the left side of the plate in Chase Utley and Ryan Howard. As a result, the Phillies have struggled against left-handed pitching, batting .235/.306/.354 as a team against southpaws compared to .254/.327/.401 against righties. Pence is a career .290/.340/.492 batter against lefties and should help balance the Phillies’ lineup to make them less vulnerable to left-handed pitching. While Hunter Pence certainly does not have the pedigree of Carlos Beltran, who was recently dealt to the Giants, he certainly will have a large impact in Philadelphia. On a team that has struggled hitting lefties on the mound, Pence provides a solid right-handed bat for manager Charlie Manual to place right in the middle of the lineup. The addition of Beltran may have shifted the power in the National League to San Francisco, but dealing for Pence makes it a very close call as to who the favorite is to win the National League. Both teams have the two best starting rotations in baseball, Philadelphia with a 2.98 ERA and San Francisco with a 3.20 ERA. Meanwhile, the Giants have baseball’s most effective and deepest bullpen (2.81 ERA), featuring three lefties while the Phillies do not necessarily know what they will get from their bullpen (3.44 ERA) on a consistent basis. While neither lineup is dominating, Philadelphia certainly has the advantage there, especially with Pence providing a quality right-handed bat. Both franchises have indicated their desire to win now in the last few days, respectively sending prospects for a player who has been an All-Star multiple times. After meeting in the National League Championship Series last season, the arms race for a World Series berth has continued between the Giants and Phillies this season. While the Atlanta Braves do have a very good team this season, the two favorites in the National League reside in San Francisco and Philadelphia. The Giants have staked their claim to NL supremacy with the acquisition of Carlos Beltran. 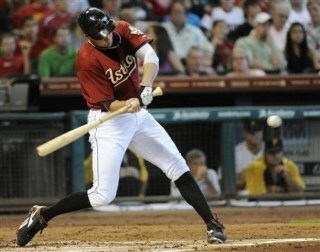 The Phillies answered by trading for Hunter Pence. The move that works out better will determine the National League’s best team. This entry was posted on July 30, 2011 by Scott Kornberg. It was filed under Hunter Pence, Philadelphia Phillies and was tagged with Carlos Beltran, Chase Utley, Giants, Hunter Pence, philadelphia phillies, phillies, Ryan Howard, San Francisco Giants, Scott Kornberg.